If you have ever been like me then you may have stared from a distance at FASHION for the skinny mini's with a dumb struck face and wished to have also been front ROW at some of the greatest shows to EVER have grace the CATWALKS. However, while being too short which of course is like the end of the world and an instant NO NO in the "fashion industry" being too BIG was always the most fearful fault in the back of my mind and is still to date one of the most highly debated subjects that surrounds REAL women, fashion and society's expectation of what a model or a fashionable person should be. So who am i? My Name is Remi Ray and i am a size 16 young women living in one of the most amazing and diverse cities in the world and yet i feel that i do not really fit in comfortably in an industry which i studied for several years and worked in for even longer and love to ultimate DEATH. Many will say that this isn't an area of concern but looking from the inside out i was once a child that questioned my ability because i was bigger than my peers, i didn't understand at that time that it wasn't my size that made me but my mind. This was a tug or of war for me as i got older and can sometimes be an obstacle now while i try to establish myself in the main stream fashion world and as heard from many others this has also been their issue too. We have money so we have a voice, many retailers provide plus-size clothing but refuse to spend money of advertising products to us. I have a personal passion to build a platform that will only expand with years to come by preaching fashion whilst practising it confidently for all of us women that not size zero. Are they shamed to promote PLUS-SIZE? 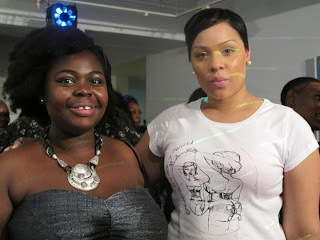 We decided to put together an official PLUS-SIZE weekend which will allow designers and consumers to interact. We are providing a platform like many other fashions brands have to explore and open up the Plus-Size UK market. Its a shame that we have a lack of representation for what facts have shown us for many years women are bigger than they were years before. We feel at LPSFW that is important to see women who are like me and you to help promote and build confidence in us as a consumer so we build a connection with our brands, please understand that we are also fully aware that there are many fuller figured women that are completely happy with their bodies and may just require a social avenue with other that are just the same. We would like to welcome all to come along and see what our community can do to push the plus-size fashion industry forward.